Please remember to get your fishing license prior to your scheduled fishing trip. If you are fishing with us in Oregon, please make sure that you have the additional salmon, steelhead, and/or sturgeon record tag (available with your license at time of purchase). 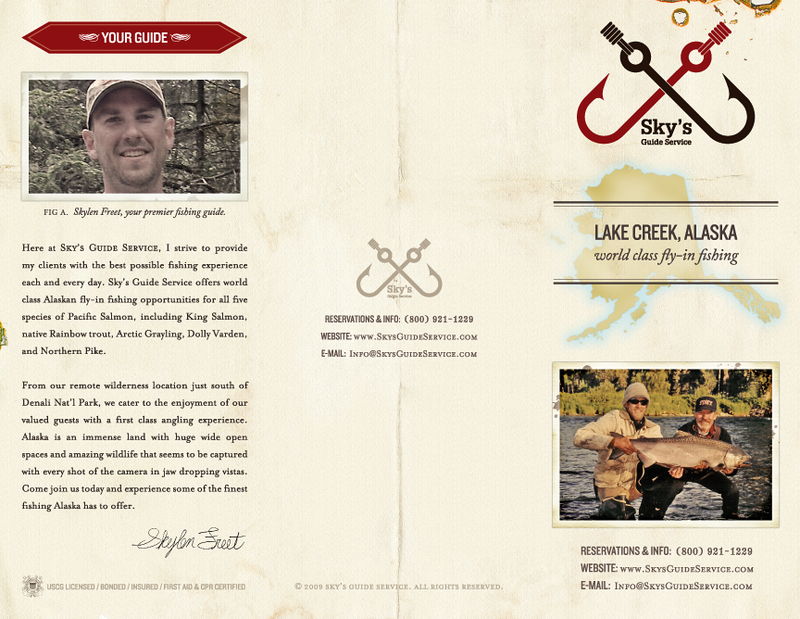 If you are fishing with us in Alaska, you will need a fishing license and king stamp (when fishing for king salmon). We will gladly help accommodate your access to the Alaska licenses. Book your trip by calling (503) 799-3757 or book online below. We gladly accept Visa, Mastercard, and American Express. 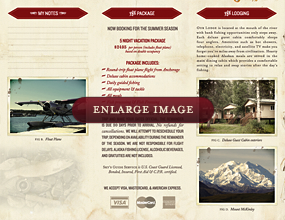 If you’d prefer to pay by check, please call (503) 799-3757 or email us to make booking and payment arrangements. Please review the Species Calendar below to see which species are in season. After adding a trip to your shopping cart, you may choose to continue browsing the site before checking out. You can always view your cart items and total on the top-left corner of the site, and check out securely anytime by clicking the cart link. From the Columbia River Gorge to downtown Portland to the Oregon Coast, we follow the bite to give you the best opportunity at that once-in-a-lifetime fish. 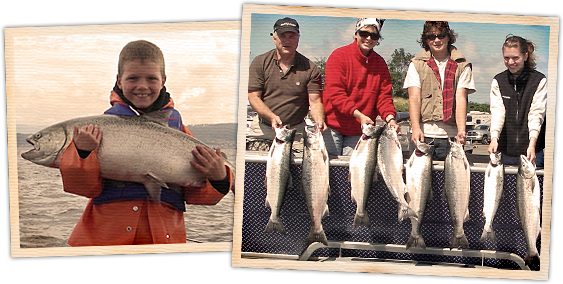 Whether you’re after a trophy Chinook Salmon, or one of Oregon’s famous Steelhead or a prehistoric Oversized Sturgeon, we offer a fishing adventure that’s just right for any age or skill level. 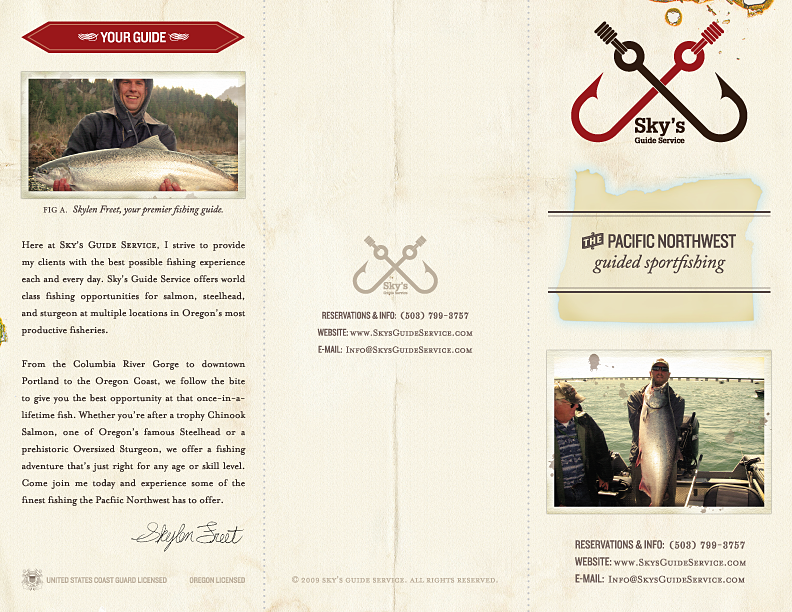 Come join me today and experience some of the finest fishing the Pacific Northwest has to offer. A deposit of $50 per angler is required to confirm reservations, with the remaining balance due at dock. Deposit refunds are only available up to 14 days before trip date; anything less than 14 days will forfeit the deposit as it may not be possible to rebook that date. Oregon fishing license not included. 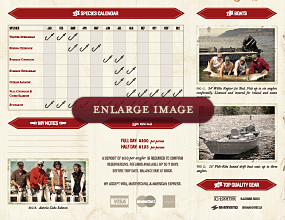 *Remember to update the quantity (number of anglers per trip) in your cart before checking out! 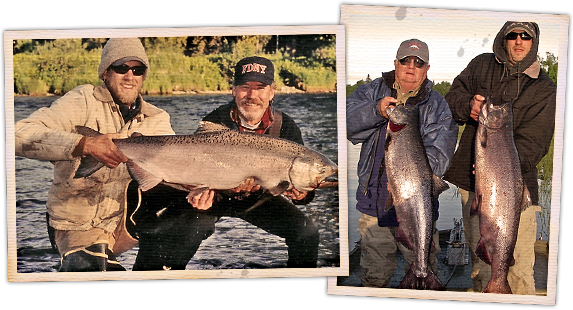 From our remote wilderness location just south of Denali National Park, we cater to the enjoyment of our valued guests with a first-class angling experience. Alaska is an immense land with huge wide open spaces and amazing wildlife that seems to be captured with every shot of the camera in jaw-dropping vistas. 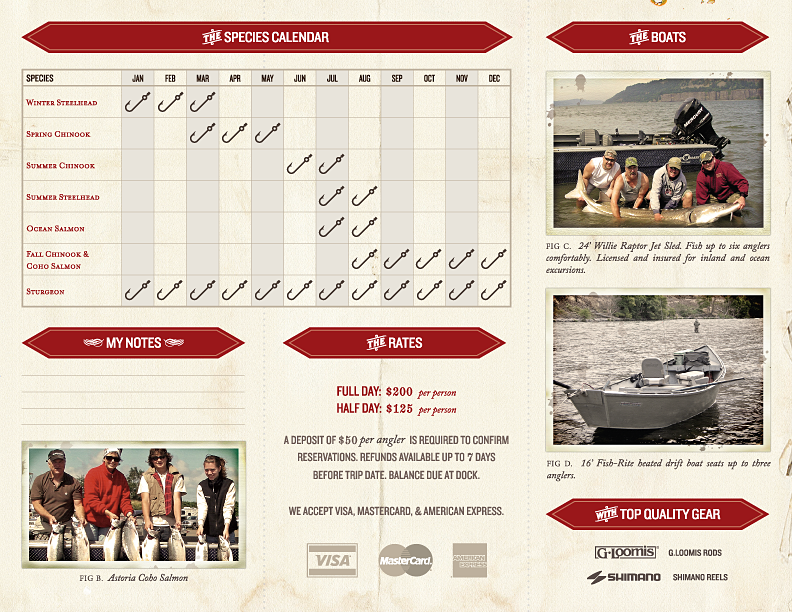 Come join us today and experience some of the finest fishing Alaska has to offer. Our lodge is located at the mouth of the river with bank fishing opportunities only steps away. Each deluxe guest cabin comfortably sleeps four anglers. Amenities such as hot showers, telephone, electricity, and satellite TV make you forget you’re miles away from civilization. Hearty home-cooked Alaskan meals are served in the main dining cabin which provides a comfortable setting to relax and swap stories after the day’s fishing. Package is based on double occupancy and includes: Round-trip float plane flight from Anchorage, Deluxe cabin accommodations, Daily guided fishing, All equipment & tackle, All meals, and Fish processing & Fish freezing. A 50% deposit is required to reserve your trip and make your dates official. The remaining balance is due 30 days prior to arrival. No refunds for cancellations. We will attempt to reschedule your trip, depending on availability during the remainder of the season. We are not responsible for flight delays. 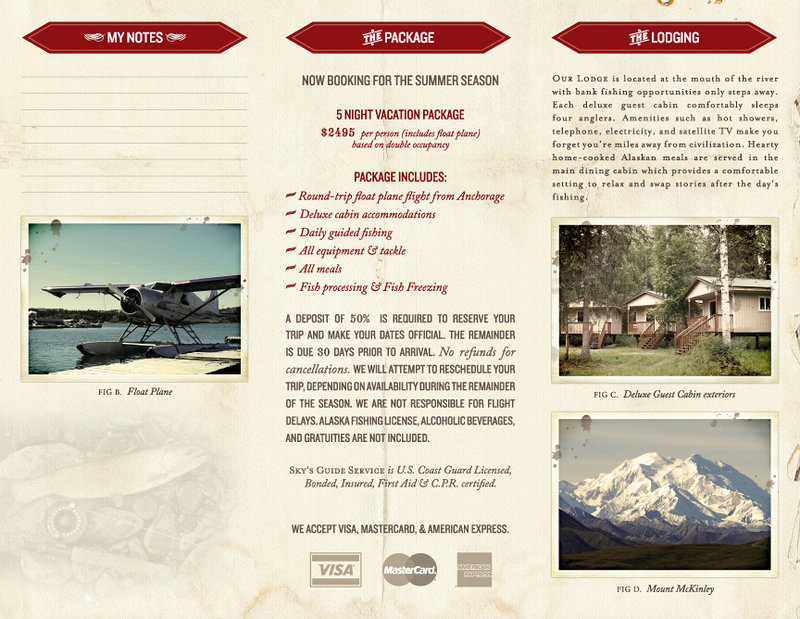 Alaska fishing license, alcoholic beverages, and gratuities are not included. *Remember to update the quantity (number of persons per trip) in your cart before checking out! WHAT: C&R Winter Sturgeon WHERE: Willamette River, Portland Harbor WHY: Each winter the Portland Harbor area on the Willamette River provides excellent fishing for white sturgeon. Sturgeon in the Willamette River are eager biters and the mixed bag of shaker size, keeper size, and oversize fish make this an outstanding catch & release fishery. WHAT: Winter Steelhead WHERE: Sandy River Gorge WHY: The Sandy is the Columbia’s second largest producer of winter steelhead with estimates of up to 6,000 combined hatchery and wild winter steelhead returning each year. Chrome bright hatchery winter steelhead from 8-12 pounds and wild broodstock fin-clipped fish up to 15 pounds available for retention. WHAT: Columbia and Willamette River White Sturgeon WHERE: Portland, Oregon area WHY: The best sturgeon fishing on the planet is right here on the Columbia River. An estimated 2 million sturgeon inhabit the Columbia River, making it the largest population in the world. 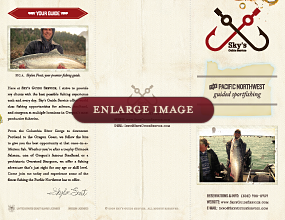 Please check back for Sky’s Guide Specials & Promotions. In the event that you need to cancel a trip, please call us at (800) 921-1229 or email us at info@skysguideservice.com. Cancellation refunds are available up to 7 days before the day of the trip. Cancellations with less than 7 days notice from the day of the trip forfeit any deposits as it may be impossible to rebook that date. From time-to-time, mother nature can have a big impact on the ability to fish. In the event that mother nature creates a situation where the trip cannot take place on the scheduled date, we will notify you immediately and offer an alternative date. 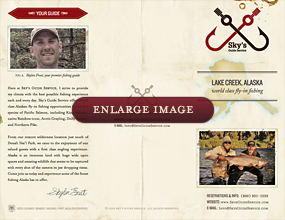 You may also follow us on Twitter for up-to-date cancellations, promotions, and fishing tips.